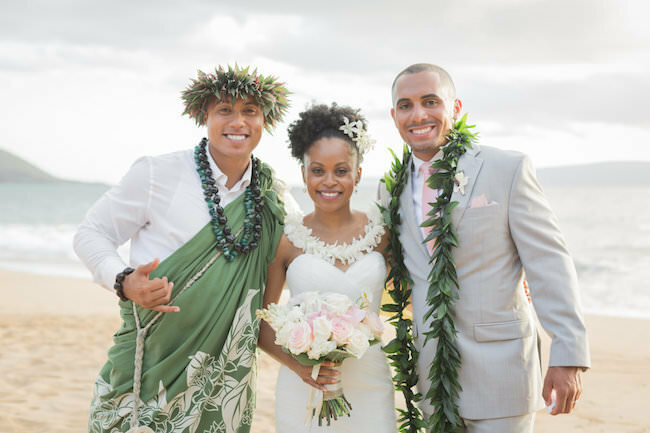 - How Do I get a Marriage License in Hawaii? - How Can I make an appointment with a Marriage license agent in Hawaii? - How long is the marriage license valid for? - How long does a marriage license appointment take and where will it be? - How much does it cost to get a marriage license in Hawaii and can I pay with a credit card? - Is the license good for all of the Hawaiian islands or just the one you got the license on? - We live in another country and want to get married in Hawaii, how do we make it legal? - Do we need to bring our marriage license with us to our wedding? - Is there a waiting period between meeting with the agent and having our wedding ceremony? - Online it says my license is valid for only 30 days - does that mean I need to wait 30 days before completing the online or paper form? - We will already be legally married — do we need to do anything in Hawaii for our marriage? - I still have Hawaii marriage license / civil union questions - who do I talk to or what is another reference? 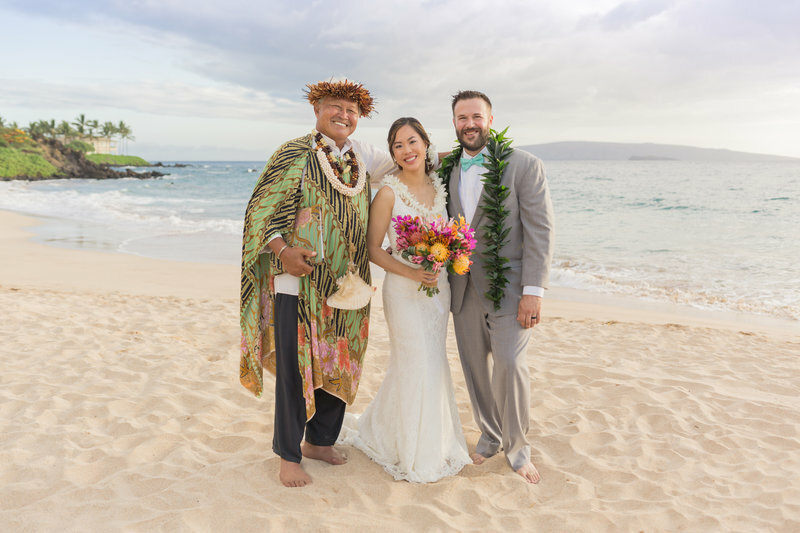 - What is the telephone number to call and get Hawaii marriage License information? - How do we receive our Hawaii Marriage License? - How soon should I make my appointment to meet with the agent? You can fill out the Hawaii marriage license application in two ways. 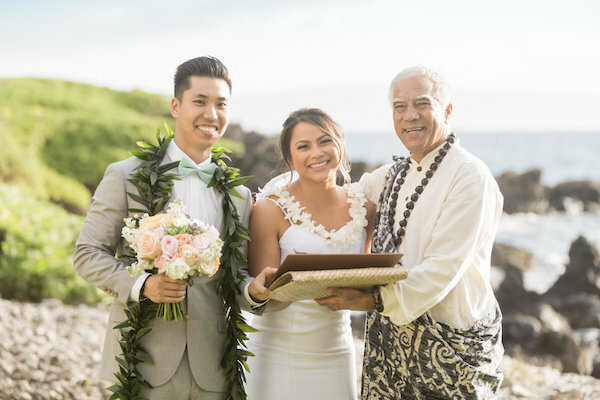 You can use the Hawaii Electronic Marriage and Civil Union Registration System here: https://emrs.ehawaii.gov/emrs/public/home.html to complete the application and pay online. This is the fastest and easiest way to apply for your marriage license and it is the same application for Marriage or Civil Unions eliminating confusion. Also, this system accepts credit cards so you don't have to bring cash to your marriage license appointment. 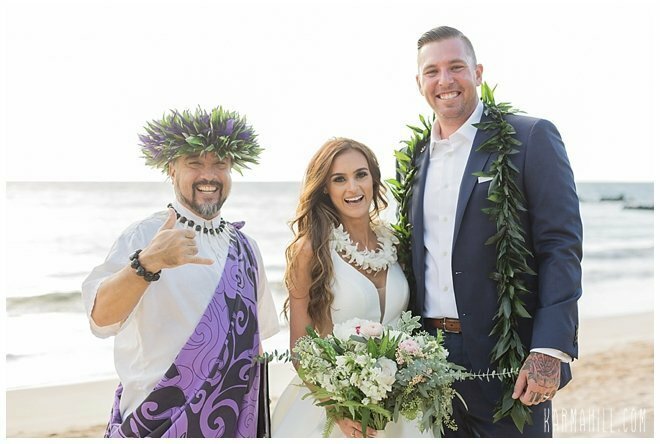 Fill out the paper version of the Hawaii Marriage License Application located here (hand written): https://goo.gl/F0hxZf or the Hawaii Civil Union Application located here (hand written): https://goo.gl/EAMQA and bring them to your marriage license appointment. The Hawaii marriage license expires 30 days from and including the date of issuance, after that it automatically becomes null and void. The license is valid for any of the Hawaiian islands. Call a marriage license agent before you arrive on island to make an appointment. A marriage license appointment lasts about 30 minutes. How Can I make an appointment with a Marriage license agent in Hawaii? Any agent within the state of Hawaii can authorize your form to wed on all islands. If you’re planning on getting married on another island than the one you got your marriage license on, no problem. Just make sure you bring your approved form with you to your marriage ceremony. Is the Marriage license good for all of the Hawaiian islands? Bring your Marriage License "WITH YOU" to your wedding! 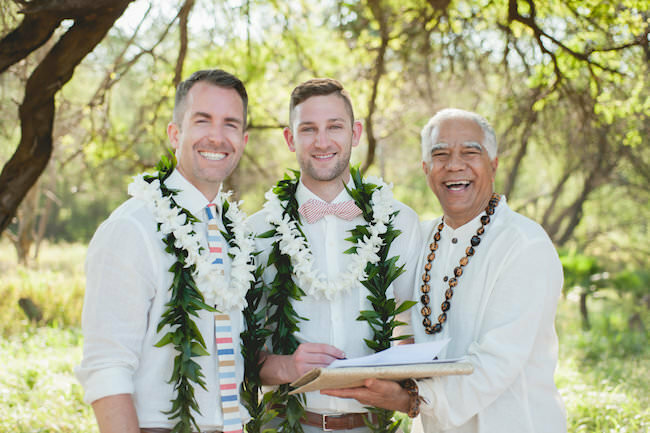 Your minister or officiant will complete it and file the license with the State of Hawaii. If you live in a country outside the United States you will need what is called an apostille (click for full definition), which is a document authenticating your marriage license in the United States therefore making it legal in your home country. When you make your appointment with the license agent, let them know that you will need an apostille and ask if you need to do anything ahead of time to make that happen. You may also want to notify your officiant. Then when you meet with the agent they can give you the forms and instructions to request an apostille. Below is a link to a list of countries that accept an appostille for authentication of marriage licenses so they will be accepted as legal documents and therefore legal proof of marriage in their home country. We live in a country that will require an Apostille to make the marriage license legal — what do we do? 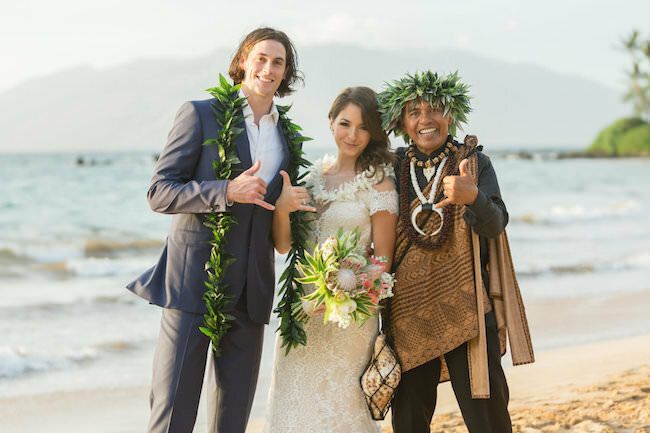 We live in another country & want to get married in Hawaii, how do we make it legal? No, you can get married right after your license appointment. Some couples meet with the agent the same day as their wedding, but we suggest doing it at least the day before to have one less thing to worry about. As soon as you have a general idea of your travel dates, make your appointment. That way you can get a time slot that best fits into your trip. The 30-day timeframe is how early you can meet with the agent before your wedding. You can complete the online form up to a year before that. You’ll just need to have your wedding within 30 days of meeting with the agent on island. Is there a waiting period between meeting with the agent and having our wedding ceremony? How Soon Should I make my appointment to meet with the Licensing Aganet? Online it says my license is valid for only 30 days — does that mean I need to wait 30 days before completing the online or paper form? REV. KUYA on our blog! Reverend Robert "Kuya" Alamodin was ordained by the Universal Life Church. 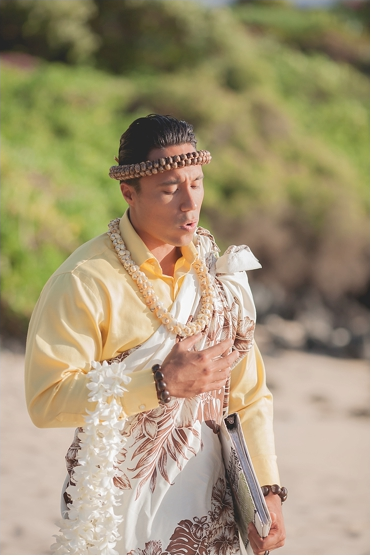 His acclaimed wedding ceremony fuses traditional Hawaiian elements such as the Oli Chant and use of the Pu (Conch Shell) with Christian and Universal Spiritual Principles that recognize the human divinity in us all. Reverend Kuya is known for his deeply empathic, soulful demeanor that rarely fails to moisten the eyes of the brides and grooms he is honored to marry. His easy and warmhearted style soothes even the most anxious couple's nerves. Kahu Richardo on our blog! Richardo Hanako'o was born and raised in Indonesian Orphanage. His spiritual journey started from the days of the discipline in the orphanage as a Jesuit student to that magical discovery of the greatness of the spiritual universe. It has given him the wonderful opportunities to help many with their own spiritual beginnings. He is a non-denominational minister and has a way of embracing and touching everybody with that joy and Aloha that is so special of Maui. He feels that the magical moment of your wedding ceremony must be a memory that last a life time. No, if you’ve already had a legal ceremony back home or elsewhere, or are planning to make the marriage legal later, you can have a ceremonious wedding that would be just like if you are actually making it legal here. You also don’t need to bring anything to prove that you’re already legally married. After your wedding, it takes about 3 weeks for the license to be processed plus the time it takes for the certified copy to be mailed to you. The state actually quotes a delivery of the marriage license of 60-120 days after the marriage has been performed. You can access it online sooner, but you will need the certified copy in order to make any legal name changes. If you wish to receive your Hawaii marriage license sooner, ask the marriage license agent about paying for an expedited copy, which is currently a cost of $10. We will already be legally married — do we need to do anything in Hawaii for our marriage? How do we Receive our Hawaii Marriage License? This page includes information such as application, agents and answers to any additional questions you may have with links and phone #'s. For additional information on Hawaii civil unions visit the State of Hawaii page about civil unions here: http://health.hawaii.gov/vitalrecords/about-civil-unions/. 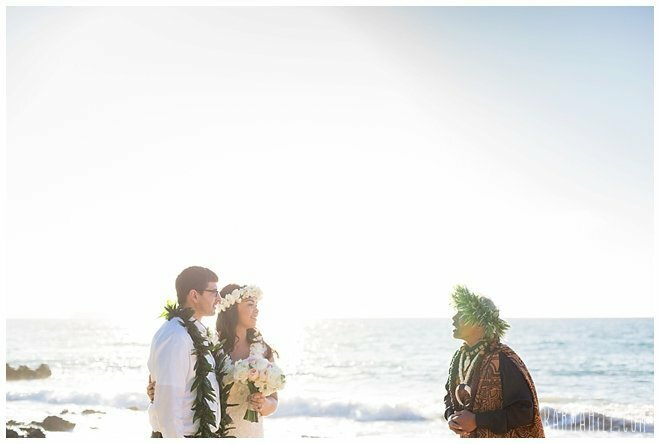 This page includes information such as applications and applicable laws associated with civil unions in Hawaii. I still have Hawaii marriage license / civil union questions - who do I talk to or what is another reference? 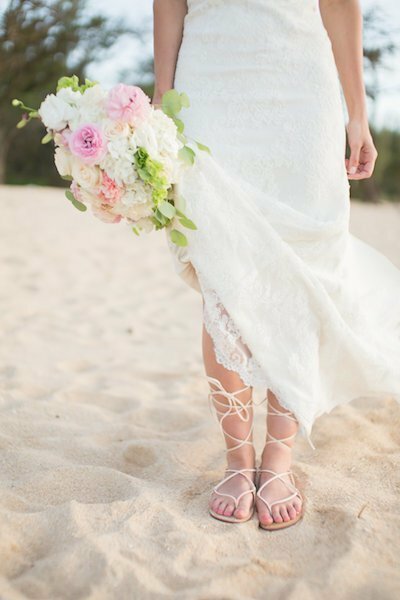 What is the telephone number to call and get Hawaii Marriage License Information? Contained in the above reference guide is all the information you need to get your Hawaii marriage license if you are from the United States or from another country. 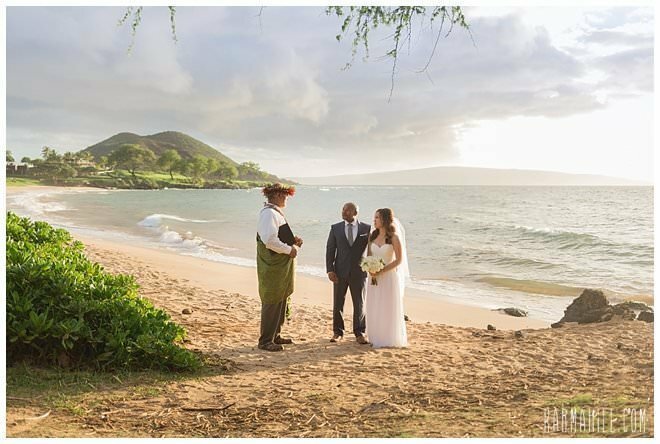 This comprehensive guide will give you all of the answers you need to obtain a marriage license in Hawaii as quickly and easily as possible. If you can not find the answer to your marriage license questions call the phone # listed and ask a state marriage licensing representative for additional help.